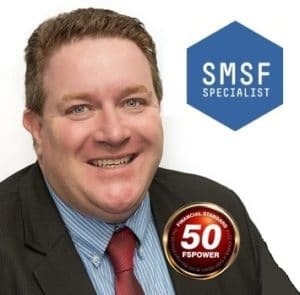 My social media identity is "The SMSF Coach"
As a Financial Planner and SMSF Specialist Advisor™ with Verante Financial Planning, I provide a range of services across all sectors of financial planning and risk management for SMSF members with an emphasis on pre and post-retirement planning and income streams. Our team works out of Castle Hill and Windsor but are available in other areas by appointment. Our whole focus is on better outcomes for you the client, so I work closely with other professionals (Accountants, Lawyers, Mortgage Broker's and Buyer's Agents ) to deliver best of breed strategies that help put clients back in control of their finances and their future. I believe in sharing ideas and building trust so I write a popular and free SMSF strategies blog at http://www.smsfcoach.com.au/ and I am a regular commentator in the AFR, SMSFAdviser, SMSF Magazine, Financial Standard. MYOB’s “The Pulse” small business blog covering topics on insurance, business succession, retirement and SMSFs. Cuffelinks.com.au writing articles and taking questions on SMSFs and superannuation in general. I also appears as a regular panel member for Sky Business Channel Your Money Your Call - Retirement Show and Money Management.